Security Video Switches manually or set it up to switch automatically based on input detection. 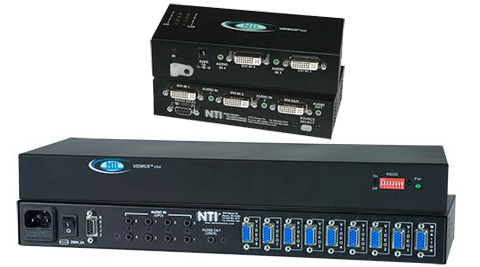 Many video switchers also come with IR remote control units so you can switch sources away from the unit itself, and an RS-232 port for connecting a serial console. With support for the full range of video standards and many models with audio functionality, video switches are the perfect choice for meeting rooms, laboratories, research centers, information management centers, and home theater applications.